↑ "Ward details". Rajkot Municipal Corporation. Archived from the original on 2007-10-17. Retrieved 2007-12-19. ↑ "India: largest cities and towns and statistics of their population". World Gazetteer. Archived from the original on 17 Nov 2006. Retrieved 13 Feb 2012. ↑ "List of Lok Sabha Members from Gujarat". Lok Sabha. Retrieved 2007-12-19. 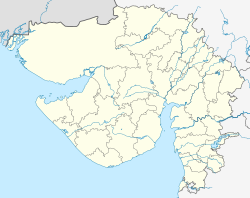 ↑ "List of MLAs from Rajkot District". Gujarat Vidhan Sabha. Retrieved 2007-12-19.